Sharonview Federal Credit Union, one of the nation’s top 200 credit unions, announces Susan Barens has joined as Vice President of Learning & Development. Partnering with Sharonview leadership, Barens will help drive Learning & Development strategies, such as leadership development, employee training and development, employee engagement and performance management, while aiding Sharonview in achieving its strategic goals. With more than 25 years of experience in strategic human resources development, Barens has led the design and delivery of development programs, executive and business performance coaching and engagement strategies for large organizations. Her clients have included Spectrum, Wake Forest University School of Business and Duke Energy. Through her deep consulting experience, she’s advised and coached organizations and individuals across all sectors, ranging from higher education and Fortune-level companies to the U.S. intelligence community, Department of State and the White House. 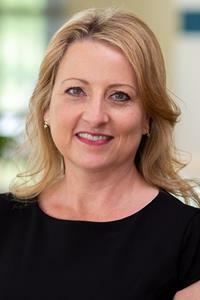 Barens holds a master’s degree in human resources development from Clemson University and completed her undergraduate degree from Ursuline College in Ohio. Sharonview Federal Credit Union, voted the No.1 credit union in South Carolina by Forbes, is headquartered in Fort Mill, South Carolina, and has been serving its members since 1955. Today, Sharonview serves over 82,000 members nationwide, has assets totaling more than $1.6 billion and operates 18 branches in North Carolina, South Carolina and New Jersey. It is also ranked as one of the top 200 credit unions in the country, proving its dedication to providing its members with a full array of value-added financial services, all of which are backed by the United States government and federally insured by the National Credit Union Administration. Sharonview currently stands above the crowd in delivering the personal touch, providing loans with fewer restrictions, flexible terms and lower rates. For over 60 years, Sharonview has promised exceptional value and delivered financial services members can trust. With us it’s personal. More information on Sharonview Federal Credit Union is available online at www.sharonview.org.